Professional Sax player & Vocalist - ideal for Weddings, Birthday Parties, Anniversaries, Corporate Events, Charity Events, Fetes, Fairs, Restaurants, Pubs, Clubs & Festivals. Performing with professionally recorded backing tracks I play Swing, Jazz, Blues, Rock & Roll and hits from the 60s, 70s & 80s. With the Saxophone being most peoples' favourite instrument my act is ideal for any occasion where you're looking for live music e.g. 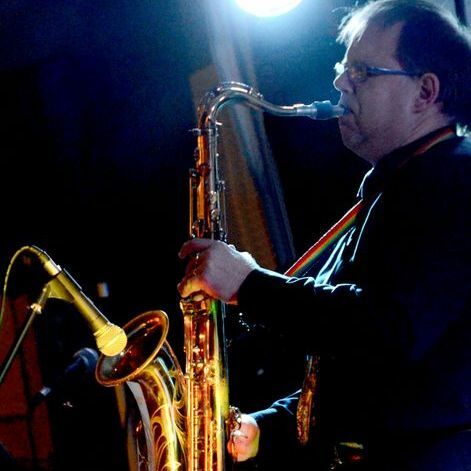 romantic Sax ballads & melodies as background music for a drinks reception or dinner, or lively Sax numbers to get people on the dance floor partying the night away. With the emphasis on entertainment I tailor my performances & music to suit each individual client & event - if there's any specific songs you want just let me know and I'll include them. I provide my own equipment including sound system & lighting and ensure I'm smartly dressed to suit the occasion.